Ah, home sweet home. There’ s a good chance that most people won’t have noticed that it’s been a little quiet over at Mess In A Dress HQ for the past couple of weeks. If you have been wondering where we’ve got to, the family took a little trip to Walcott in Norfolk for a good ole’ fashioned Great British Summer Holiday. I had planned to schedule lots of posts and social media activity so there wouldn’t be a break in content etc. Best laid plans eh? It turns out prepping to go on holiday is pretty time consuming in itself and I just didn’t have time to be as organised as I would like. Still, I started writing this post on the car journey back home, so hopefully I’ll have you all caught up really soon. This post is (as the title suggests) a bit of a diary of our holiday. We squeezed quite a lot into 7 days, so I’m going to split it into two posts. I’ll also be writing full review posts about some of our adventures as they deserve far more space than this post can offer. I don’t know about you but my holidays start the moment I buckle my seatbelt and set off on the road. We left home about 11am and drove for just over an hour before stopping for lunch in our traditional family road-trip destination – Little Chef. Ok, so it’s not exactly haute cuisine, but it is tasty and family friendly. I had a hot dog which was delicious (and a steal at £5.99) and a vanilla iced coffee. We also discovered Poppy is a fan of pineapple and mango smoothies! Who knew? Back on the road it was quite a long, hot journey to the Norfolk coast but we always manage to make the best of it. The girls have colouring books, toys and sweets to occupy them. For the grown-ups it’s a great playlist on the iphone and a collection of new books to read! Bliss. In no time, we pulled up the drive to home from home, Dunbar Cottage in Walcott. We’ve stayed here a couple of times before and we absolutely love it. It’s definitely not a modern property, but it’s cosy, comfortable, has a log fire (Mr Mess loves a good fire) and best of all, it is right on the coast. Two minutes walk and you’re on the beach. We always book through Cottages.com and you can find all the property details here. Today was our first full day on holiday. It started with some essential food shopping at the Tesco in Stalham. Mum and Dad had kindly offered to watch the girls for us to make it easier. They had decided to stay in Norfolk too, just ten mins down the coast in Mundesley. We did try to keep the shop as cheap as possible but it’s really not easy when you’re starting with nothing. Once we had unloaded the shopping, we headed back to Mum’s for lunch. Afterwards we walked down to a nearby windmill and decided to take a look inside. I discovered that windmills are more attractive from the outside than inside – each room was pretty bare. The staircases were incredibly narrow and steep and my heart was in my mouth as we tried to get the little ones to the top. They thought it was a marvellous adventure! I’m not sure I’d necessarily rush to do it again, but Mr Mess can now tick it off of his bucket list. Later that afternoon the whole family took a trip to Mundesley seaside. It’s really quite small but the kids had a go on some of the arcade games and then we looked around the little shops. Moogle decided to save her holiday money for later, but Bug chose a little octopus key ring and some rock. That night we had a cosy evening back at our cottage. We all went for another walk down to the beach before the fun of trying to get the girls to sleep in a new rooms. They didn’t fall asleep until about 10pm so Mr Mess and I spent the evening curled up on a sofa, reading our books. We all woke up pretty early so we decided to stroll down to the beach again. We were incredibly lucky with the weather for the whole week so there were plenty of opportunities to build sandcastles and play in the sea. (Very carefully, of course.) After quick showers to rid of the itchy sand we hopped in the car and drove to Wroxham. In the middle of Wroxham is a particularly brilliant toy shop called “Roy’s Toys”. It’s part of a chain of stores from Roys of Wroxham. Sadly, I haven’t had the chance to look around any of them as the girls find shopping boring. Unsurprisingly, they don’t mind spending hours browsing the aisles of the toy shop. Eventually they chose a few things each, some of which were bought by very generous grandparents and some were purchased with their own pocket money. Toys in hand, it was time to head to the main attraction – Wroxham Barns. Wroxham Barns is the perfect family day out. I’m going to write a full review post as there is just far too much to write about here. There are beautiful shops, restaurants serving delicious food, funfair rides for the kids, a junior farm and so much more. There was even a circus tent. In fact, there was so much to do that we couldn’t do everything in one day so we decided to go back later in the week. As it was Bank Holiday Monday we decided to have a nice, peaceful day. We started with a very leisurely get-up, another trip to the beach for Moogle and Daddy and a gorgeous cooked breakfast in the conservatory. 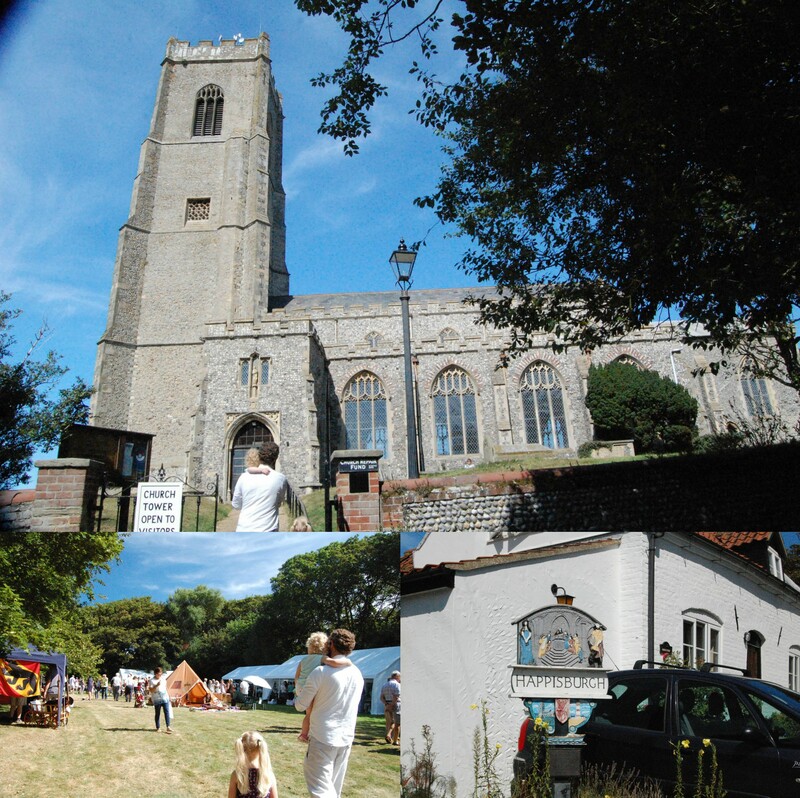 We’d seen lots of signs in the area for a village fete in Happisburgh. Mr Mess used to visit there a lot as a child so we decided it’d be nice to go for a nostalgia visit. The fete was incredibly cute but there wasn’t an awful lot to keep the girls interested so we didn’t stay for long. On the way back to the car we popped into Happisburgh church to have a look around. The church tower was open for viewings, but unfortunately the girls were too small to go up there. Still, it was lovely for Mr Mess to take a trip down memory lane and Moogle enjoyed hearing about the history of the church. 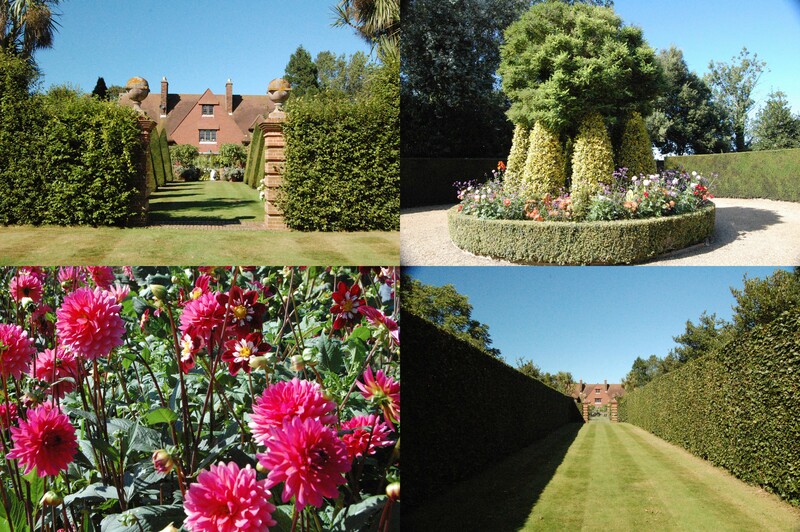 Just down the road from Happisburgh is East Ruston Vicarage Gardens. Mr Mess had heard a lot about the gardens, but we’d never actually visited. Seeing as we had no plans for the afternoon we thought we could pop in. This is another place that I’ll be writing a full review post for, as a short paragraph here could never do them justice. Sadly we couldn’t stay as long as we would have liked because we were meeting my parents, but both Mr Mess and I agreed we’d love to go back one day. In the evening we headed the a local pub The Lighthouse Inn, which will also be getting it’s own review. We’ve been there on previous holidays and the food is delicious. However, it’s main selling point is the children’s entertainment that takes place there in the summer. Moogle absolutely loved it when we took her there a few years ago so I was really eager to see if Bug would enjoy it too! That’s the end of part 1 of our holiday diary. Check back next Saturday for part 2 – we still have lots of adventures to tell you about. 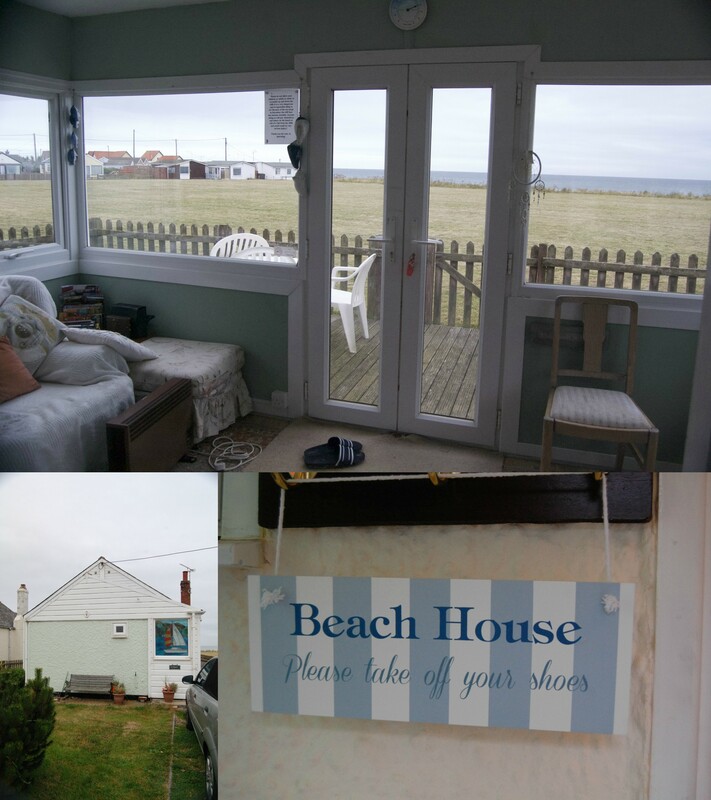 This entry was posted in Lifestyle and tagged beach, england, gardens, holiday, norfolk, summer, walcott.